The jazz quartet BERLIN 21 stands for the lively and multicultural character of Moabit. This spirited part of Berlin is characterized by its dynamics and parallel societies. 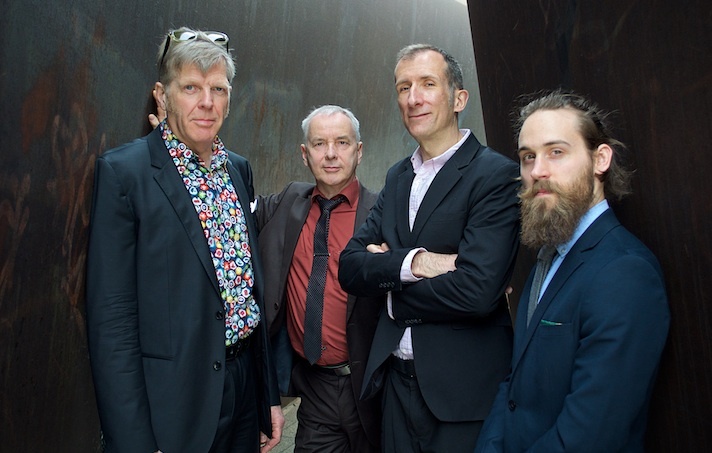 With their second record „Odds On“ the four virtuosos Torsten Zwingenberger (drums), Lionel Haas (piano), Tim Seier (guitar) and Martin Lillich (bass) set a new milestone. For BERLIN 21 music means delight and sensuality. They play what makes fun. With their soulful and bluesy compositions they take their audience on a musical journey round the world from Africa across the Black Sea to North and South America. They combine New Orleans Groove with Arabic Funk, fast Bebop with Smooth Jazz and Boogie Woogie. To make it swing and groove together is their highest priority. Freshness, entertainment, fun and versatility – this is what BERLIN 21 stands for. Drummer Torsten Zwingenberger is one of the busiest personalities in the German jazz scene. He plays more than a hundred concerts a year worldwide and he is active in numerous projects as a bandleader or a sideman. In his mid-twenties he worked together with jazz legends such as Buddy Tate, Harry „Sweets“ Edison and Joe Pass. In addition, he developed his very own, sensational style of drumming. What he calls “Drumming 5 Point” combines the classical drum set with several percussion instruments, played with the artistic precision of all limbs.